Aussies 2018: The Mass Exodus West! 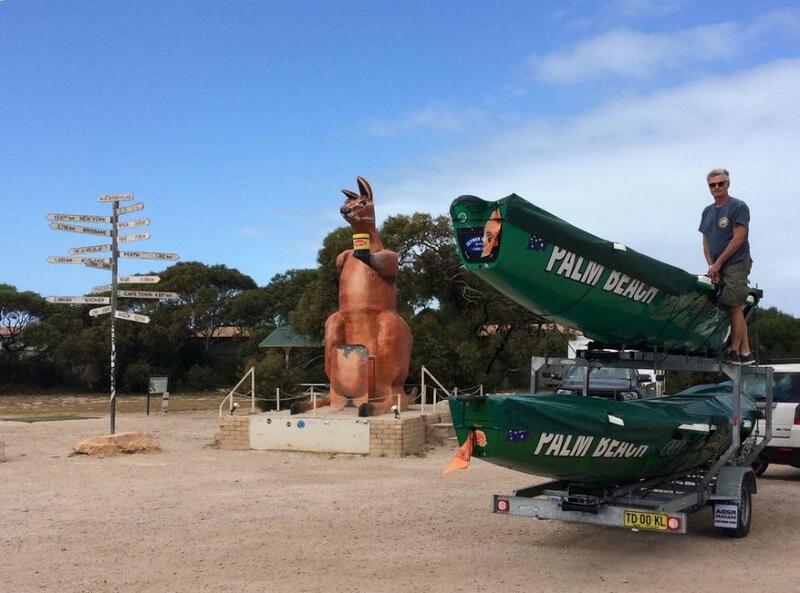 The long and winding road across Nullabor commenced this week for local surf boat crews taking equipment to the 2018 Aussies, with crews from Palm Beach, Avalon Beach, Newport, Mona Vale and Warriewood wending their way west via a scenic route quite different in some ways to what they're used to but with water in sight across that rather large plain on an equally long road. As with all things surf boats, and in the Surf Life Saving movement itself, help is always on hand through fellow travelling life savers and all those life savers all along the route there and waiting to welcome them at the other end. If the p[hotos coming through are anything to go by, our local Life Savers are enjoying seeing parts of Australia on their travels to Western Australia. Nathan Perry (Manly) and Peter Spence (Palm Beach) have been playing tag for 3000 miles but most of our boaties are safely in W.A. - ready for a good sleep prior to their events. Interviewed after the Board race he thanked James Brooks, Trent Herring and all his other coaches at Newport as well as his Carlile swim coaches, stating that program has really made a difference to his 2018 Aussies results - so far. The Australian Surf Life Saving Championships is an annual event where over 6000 competitors from Australia’s 311 Surf Clubs come together to compete in more than 450 beach and ocean events. It is the largest event of its kind, only comparing the likes of the Commonwealth Games.